Philip Collins retired in 2007 after 31 years as Principal Trumpet with the Cincinnati Symphony Orchestra and Cincinnati Pops Orchestra. Prior to that he was Principal Trumpet with the National Arts Centre Orchestra of Ottawa, Canada, and a member of the Cleveland Orchestra. He is a graduate of the Eastman School of Music and the Cleveland Institute of Music. While at Eastman he was a member of the Eastman Brass Quintet and Wind Ensemble. 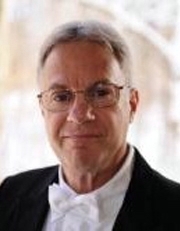 Mr. Collins has published several trumpet books, In the Singing Style, Trumpet I, Studies in the Pops Orchestra Repertoire, 100 Trumpet Etudes, Piccolo Trumpet Studies, and several hymn arrangement for trumpets. He lives in Montgomery, Ohio with his wife Sandra. They have six children and 9 grandchildren. Graduate studies, Cleveland Institute of Music.